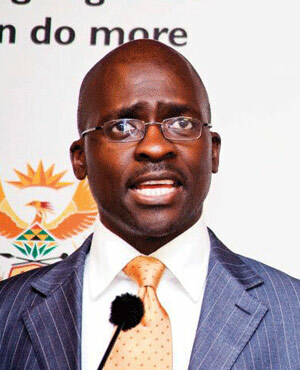 Pretoria - Controversial new visa regulations for visitors to South Africa are fully constitutional, new Home Affairs Minister Malusi Gigaba said on Thursday. "We have not only tested it in both the National Assembly and the NCOP [National Council of Provinces] but have consulted senior counsels to ascertain the constitutionality of both the legislation and its regulations," he told reporters in Pretoria. "If anybody feels that they must challenge the constitutionality of these regulations, they are most welcome to approach the Constitutional Court." The new immigration regulations introduce a new visa regime for South Africa. The regulations draw a clear distinction between short-stay visas and long-stay permanent residence permits. They stipulate that visa applications need to be made by applicants in person, and those wanting to change the status of their visa can no longer do so in South Africa but have to do so at missions abroad. Several organisations have criticised the amendments to the immigration regulations, which came into effect on Monday. Global Migration SA said the amendments were unconstitutional and could result in litigation against government. "These new regulations may trigger a raft of litigation with respect to obvious omissions and constitutional issues," Global Migration SA managing director Leon Isaacson said in a statement. Earlier this week, the Forum of Immigration Practitioners (FIPSA) said the newly gazetted immigration regulations had an array of shortcomings which would make it impossible to apply for a work visa or any other visa.